WONFAST is a two wheel smart self balancing scooter with a 250w x 2 hub motor and 2 x 5.5 inch solid tires- also called electric drifting board and personal adult transporter with red LED light and it makes a good mode of transport to get to work or school or go for a fun ride on the streets and is suitable for use by both adults and kids. It is an intuitive product that responds fast, feels quite stable and safe to ride and you can operate it at a very narrow angle as the turning radius is zero meaning you can reach anywhere you can walk or get in with your feet, even turn 360 degrees in the same spot. 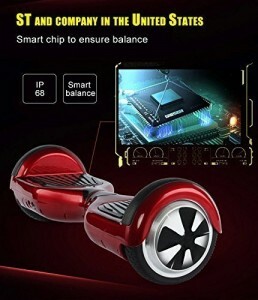 Wonfast Scooter comes with a 36V-4.4AH (158WH) lithium rechargeable battery that can be charged completely in less than two hours and once charged you can travel for up to 15 to 20 miles. You just step on one of the footboards then the other one and push your feet towards the edges to have a better balance and focus on balancing and do your brain do the work for you and you will probably get used to it in just a few minutes and can be out and about in 15 minutes. You just have to lean a little in the direction you want to go and you will accelerate- is quite easy to use. It weighs only 20 pounds in total and measures 58,4 x 18,6 x 17,8cm (1 inch = 2,54 inches) and you can carry it anywhere in your bag or hand if you wish and ride it on your way back. 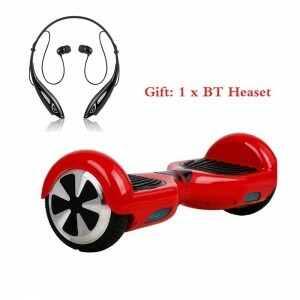 It runs smoothly and quietly with the quiet locomotion and the superior self-balancing technology. The red LED lights are good for when you’re riding it in the dark. It is built with durable and solid ABS plastic housing that is resistant to scratches and abrasion (many of the similar models are prone to scratches) and the bump rubbers will protect it from hard knocks in the corners or pavements. Wonfast scooter can carry a maximum user weight of 100kg and the maximum speed you can reach is about 10-12 miles which will depend on your weight or road ahead but you probably shouldn’t go over 6-7 miles per hour. Protection grade is IP54 and as a safety feature it will slow down the speed when it reaches ten percent battery level and eventually itwill stop. Try not to ride it on very bumpy or dirty roads, on snow or slippery surfaces, in the rain, on roads where there are many cars, not in strict cold winter weather and wear knee pads, gloves and helmet to be more prepared for accidents. In the box you’ll find the smart scooter, user manual, power supply/charging cable and a bluetooth headset as a gift.